Hooking up a subwoofer if using a stock deck. I just went into bb today and the dude installing there said that i would not be able to control my bass with a stock headunit unless i used the fade and put the amp and subs on the same channel as either the front or rear speakers. First off, all i want to be able to do is adjust the bass put out by my subs the same way i do my stock speakers. Is this possible and the douche at bb a moron or do i need to look at other options? I'm no expert on the subject, but it seems to me that if you are adding in bass to the signal received by the slave/sub amp, that that amp would do nothing but boost it. 'Course you would be driving more bas into the OE speakers at the same time. My guess is that either the BB guy didn't understand what you were talking about, he is a douche, or maybe I'm the douche. Try hooking it up to the speaker outs first and find out. Like I'd said, my interest in car stereo stopped about 15-20 yrs ago. Though it seems the basics, like this, would stay the same, things may have changed. one last question. i'm about to put down 800 on subs and amp. i have no intentions of getting a new headunit. will i get good results with a stock headunit or should i reconsider? Good Luck with your build. It takes alot of time but its well worth it, I thought it worked quite well... but then again I got 4 10"s in the trunk of my 3 lol. Grounding a big amp is not sufficient enough to ground it at the back of the car! You have no idea of how many times I have seen or heard this. Many people put a big honkin power wire but don't logically think the ground wire all the way thru. My co-worker long ago did this also and fried his ground wire up front. 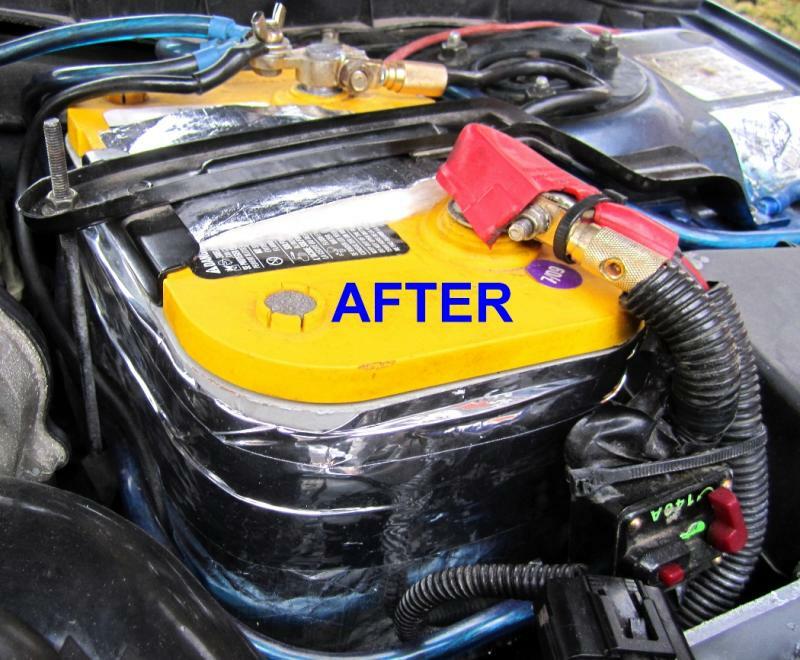 Have you seen the Stock ground wire coming off the negative battery terminal ---- it isn't big enough to handle that extra draw, not to mention you should also clean it. 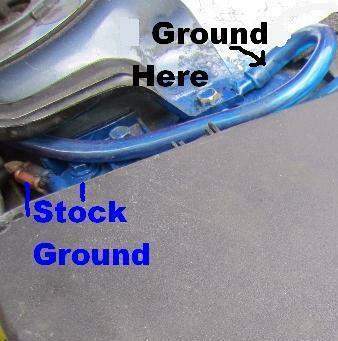 1) Please add another ground wire from the negative terminal of the battery to the body (a good spot is battery hold down a few inches from stock ground). 2) Please add a ground wire from the engine block to the negative battery terminal as alternator will be working harder and your engine will love it (this one is not mandatory but logical). Pics from my Mazda 6. Last edited by UseYourNoggin; 02-01-2012 at 08:58 AM. Car audio question, how to make full range speakers quieter? Quick Reply: Hooking up a subwoofer if using a stock deck.